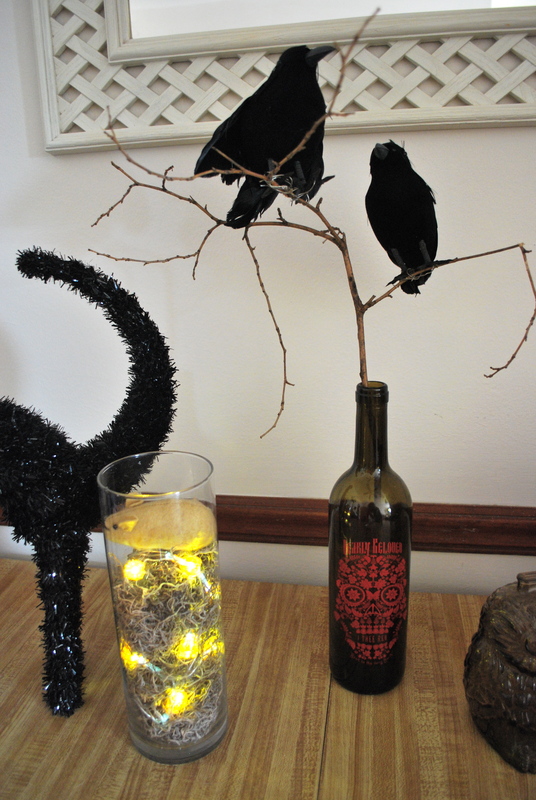 Here is a little bit of my Halloween decorations for this year. This month has been crazy busy and I didn’t get to make all of the things that I had planned to decorate for the holiday but here’s what I did put up. The Bats are just made from cardstock. 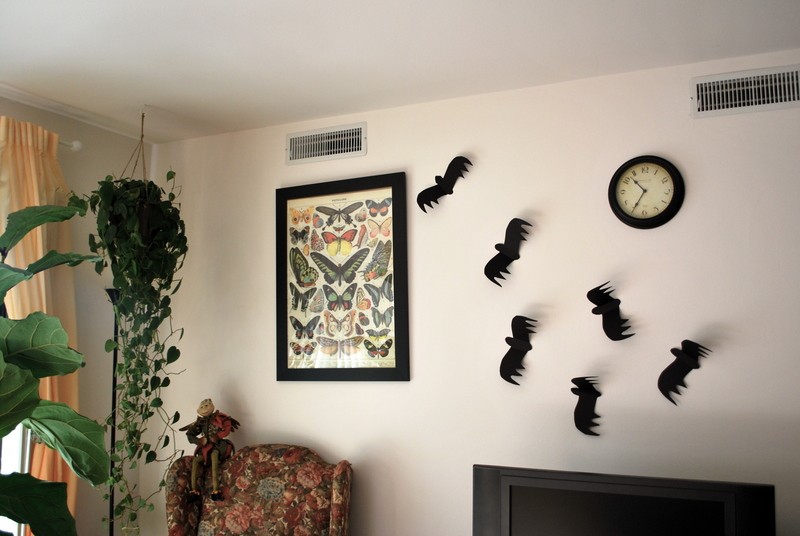 I traced a plastic bat and taped them to the wall. 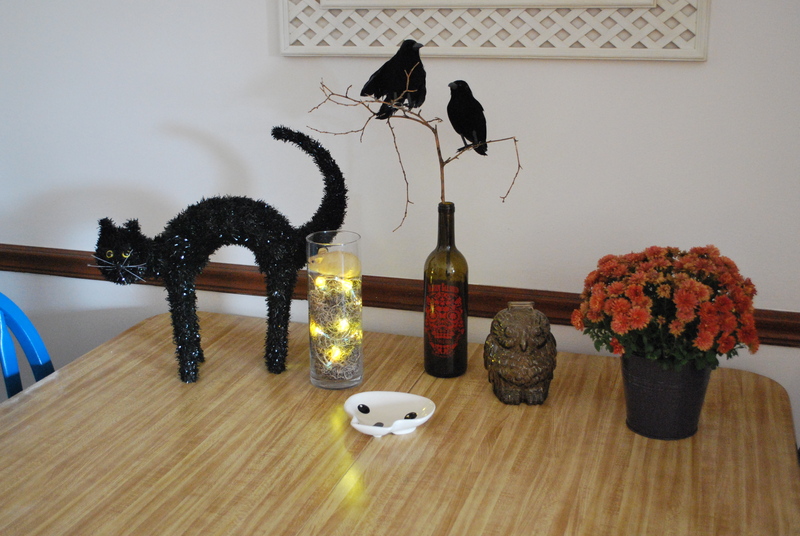 The cat is a few years old from Michaels, and the crows and pumpkin LED lights are from Dollar Tree. 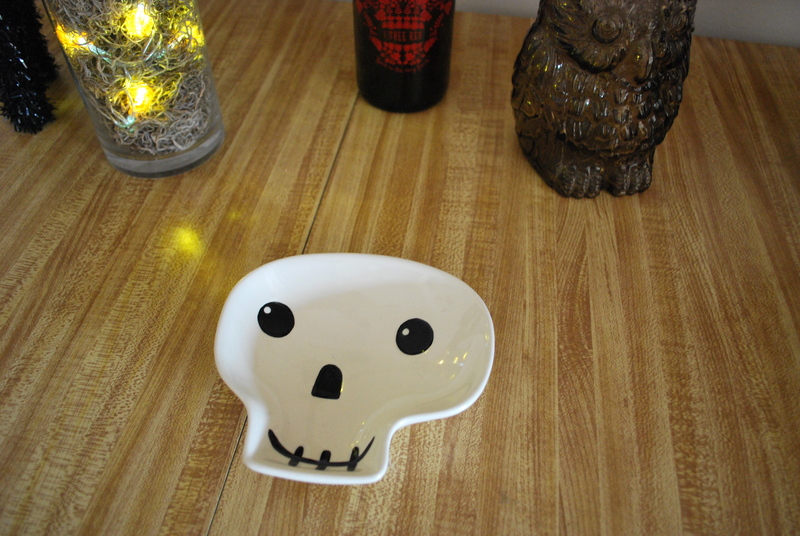 The glass owl is an antique bank that was given to me as a gift and the skull candy dish was given to me by my mom last year from Hallmark. Happy October!